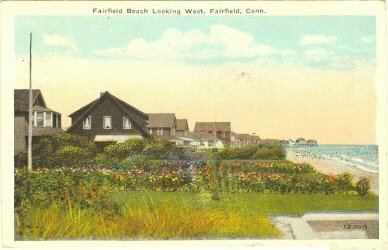 Fairfield is a suburban town with a scenic location on the beaches of Long Island Sound, and proximity to New York City. Pennfield Beach and Jenning Beaches are just 2 of the beaches that Fairfield offers its residents. Many people who live in Fairfield commute to New York, New Haven, and in between. It is an affluent area with average household income over $100,000. The population is just over 57,000. The area is primarily suburban although it is possible to live in the town. There are some developments in the area that are de-facto active adult communities. The median sale price of a home in Fairfield was $574,400 in late 2018, according to Zillow.com. Fairfield has it all: natural beauty plus easy access to all the benefits of city living. Fairfield is a town of many neighborhoods, two of which—Southport and Greenfield Hill—are notably affluent. It's also a college town with about 3,900 undergraduate and 1,000 graduate students study in Fairfield's six schools and colleges of Fairfield University. Natural beauties include the town's five miles of Long Island Sound coastline include 5 town beaches which are staffed by lifeguards during the summer, and miles of privately owned beach which are open to the public below the high tide mark. In 2012, Fairfied was ranked 64 in Money Magazine's "Best Places to Live". Fairfield is expensive and taxes are high. Fairfield is located on the shore of the Long Island Sound with an average January temperature of 30 degrees, which is it's coolest month. The Average temperature in July is 74 degrees, and the maximum precipitation normally occurs in April. Fairfield Community Theatre Foundation hosts many community events; The Regina A. Quick Center for the Arts on the campus of Fairfield University has become known as one of the finest concert halls in the country. Crime is low in Fairfield - about a third of the national average. Bridgeport Hospital, affiliated with Yale University School of Medicine, and St. Vincent’s Medical Center. Fairfield is traversed by Route 1 and interstate 95; Metro-North has three railroad stations in Fairfield.